I was an avid reader beginning in third grade, when my parents finally allowed me to ride my bike to the local library on my own (those were safer times). Once a week, I would collect as many books as I could fit into my bike basket and pedal back home with my treasures. My friends didn’t know I was a voracious reader (I didn’t want to appear nerdy and enjoyed my private reading world). Perhaps more surprising is the fact that my teachers were unaware of my love of reading. I deliberately kept them in the dark for fear that I would be asked to write the “dreaded book report”, a genre that I found incredibly boring. Even worse, I might be asked to stand up in the front of the class and give an oral book report. Happily, in today’s media rich world there are alternatives to the traditional book report. 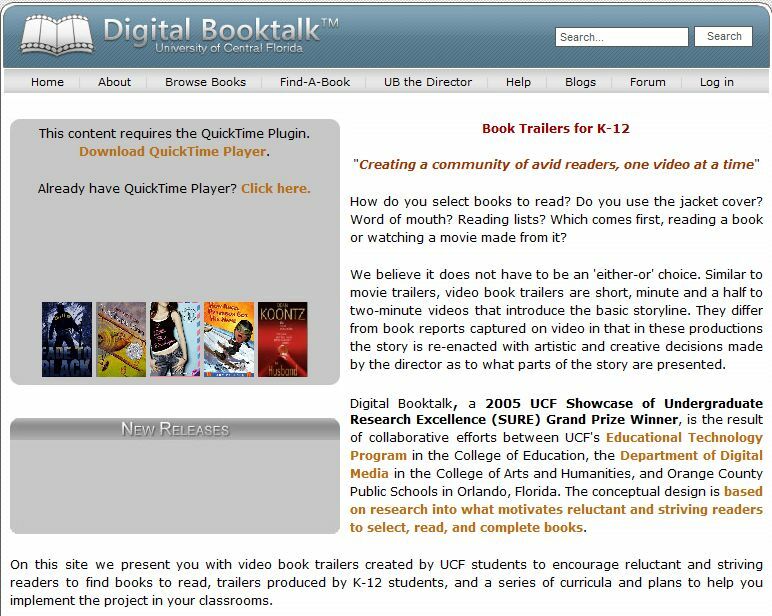 Digital book trailers are becoming increasingly popular with kids, teachers, authors, and publishers alike. What is a digital book trailer? While definitions vary, a popular form of digital book trailer is a short digital video (less than 2 minutes) that combines characteristics of a movie trailer and a book advertisement. 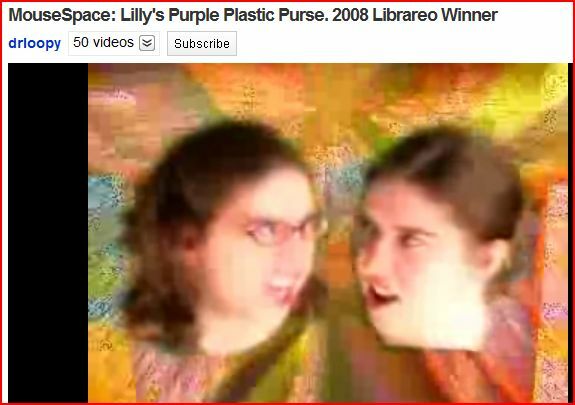 In the following section, I highlight some wonderful examples of book trailers created by students (and in one case, by an incredibly entertaining teacher and librarian), and provide some links to resources. 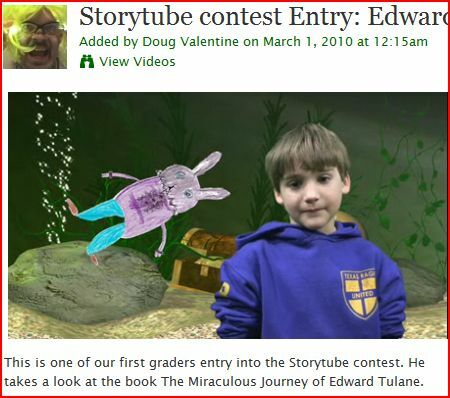 The annual STORYTUBE contest is sponsored by several ALA libraries. Open to children from ages 5 to 18, students submit their digital book trailers in January/February. In addition to the winners selected by a panel of judges, the online audience votes for their favorite. Take the time to view two of my personal favorites in the 5-7 year old category. The first features “A Snowy Day” by Ezra Jack Keats and the second features “ The Story of Edward Tulane” by Kate DiCamillo. 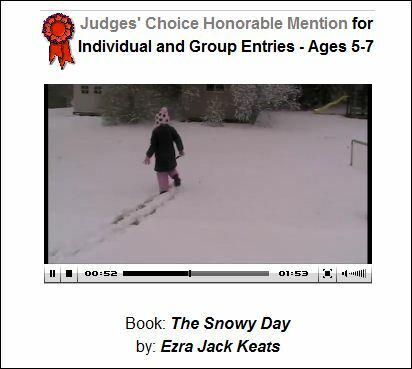 In “A Snowy Day’, a young girl is videotaped as she introduces the story, falls asleep to enter into the story world where she re-enacts key scenes from the book, and then wakes up to close with a message to read the book. The Edward Tulane video is more complex in video production, involving a green screen, hand-drawn illustrations, and props. Both are terrific! Everybody is doing it, even teachers and librarians! I laugh every time I watch this video about a teacher who runs into the library moments before the bell rings for class to find the book that she absolutely MUST HAVE for her lesson. Unfortunately, she can only remember that it has something to do with a mouse. See how many titles you recognize as this knowledgeable librarian runs through a multitude of ‘mouse-related’ book titles! And, that’s a wrap, folks!